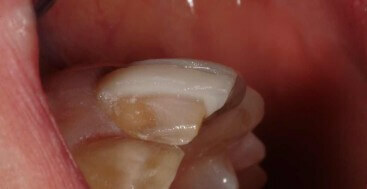 A common question I get is what the best material is to restore discolored teeth. We have an enormous number of really great materials available today for both veneers and full coverage restorations. They each have different color and light reflection qualities, and a different ability to mask underlying tooth discoloration. With all of that said the first thing to look at is what I call the” two shade” rule. 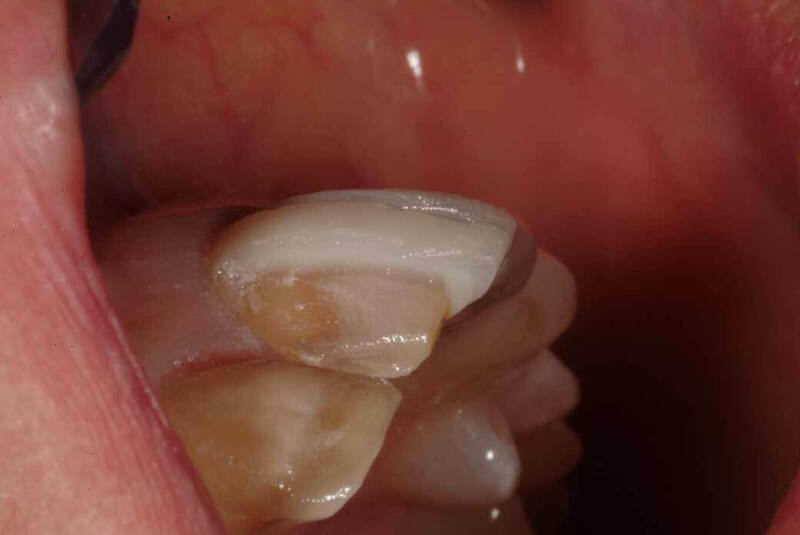 When we think about using indirect restorations to alter tooth shade, lightening two shades on a Vita Classic shade guide requires nothing outside our standard procedures. So when we go two shades lighter or less then the starting shade, we can choose from any of the current materials and get exquisite results, and create our usual prep designs. When the proposed final shade is more then two shades lighter we now need to ask the question of how we will accomplish this for the patient. In this situation I have four major tools in my tool box to turn to. Now we do want to look at the different materials and their light properties, as well as altering our prep design to allow for better masking. Before I think about either of these I start by asking myself if the use of tooth whitening as an adjunct to the restorative process can get me within the “two shade” rule, or at least closer. In office bleaching can predictably lighten teeth one full shade. If this is all we need, then it is a quick and efficient way to streamline success. I also use in office whitening if we need more then a one shade change, as it engages the patient very quickly, gets them excited about the esthetic changes we are planning, and increases their compliance with tray bleaching at home. So for my patients where we need to lighten multiple shades pre-restoratively we begin with an in office session, and then send them home with trays. We monitor the process and when the are 1 shade lighter than what I hoped I have the patient stop using their trays. One caveat is to wait a minimum of four weeks after bleaching has been stopped before gathering shade information for the laboratory. We are using the Venus White family of whitening products by Heraeus, as they create very predictable results, with minimal post op sensitivity.